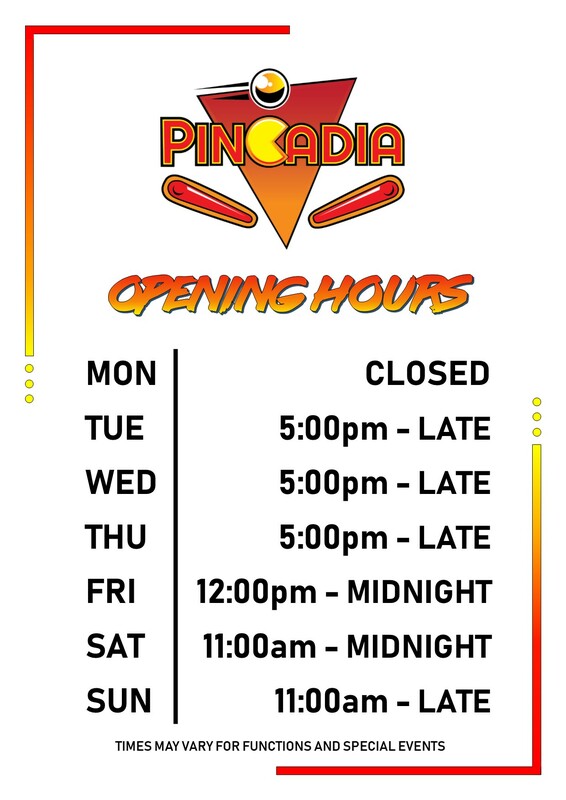 We have revamped our opening hours. Open evenings Tuesday – Sunday, lunch time Friday’s and from Brunch time on Weekends. Full details below. The hours may be extended for game days, special events and holidays. Ice Cold Beer is Ready! From a nibble to a Byte! The announcement you have been waiting for! Big Bash Competition is on! All Rights Reserved © 2019 Pincadia Pty Ltd.